Kapuso Primetime Royalty, box-office queen, three time FHM Philippines Sexiest, and hundreds of magazine covers-- bash her all you want but there is no denying that Marian Rivera is one of the Philippines most beautiful celebrities. I've seen her a couple of times in person already, but its hard not to get awestruck by her beautiful face. Makes you wonder just how hard it is for her to keep her skin glowing and almost flawless right? 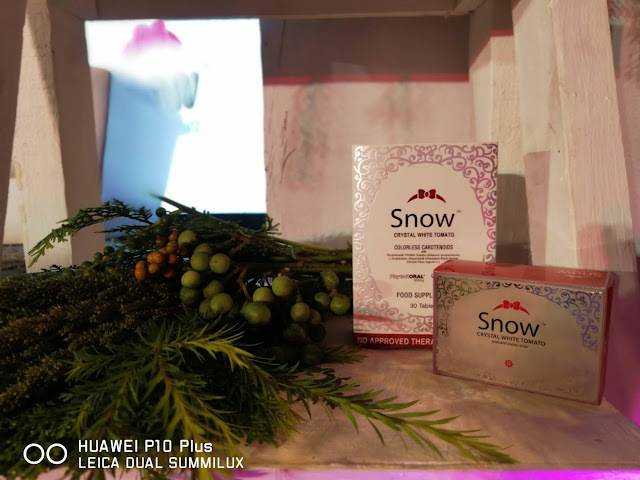 Earlier today, I almost missed Marian at the launch event of her newest endorsement for Snow Crystal White Tomato thankfully I was able to listen in to one of the interviews and she actually revealed how she kept her skin beautiful-- By staying hydrated and moisturized! The Queen of the Kapuso network says that she's into three things: steaming, moisturizing, and religiously applying sunblock. She also said she makes sure to take off her make up after work no matter how tired she is. "Pagkatapos ng pagkatapos ng taping ko, magtatanggal ako ng makeup." Finally, Marian says she removes impurities by taking a shower when she gets home and applies lotion to keep her skin soft! 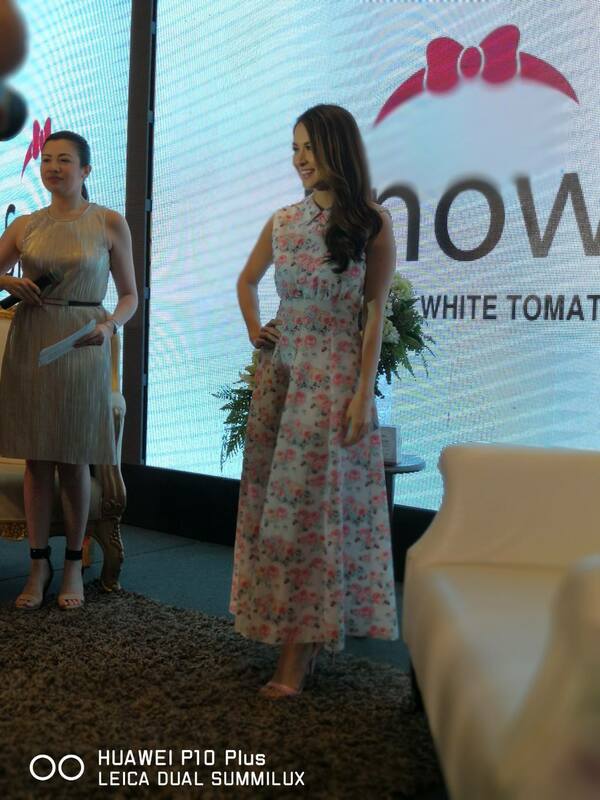 With her latest endorsement--Snow Crystal White Tomato--Marian says she hopes to help other Filipino women achieve more beautiful skin and become more confident about themselves. 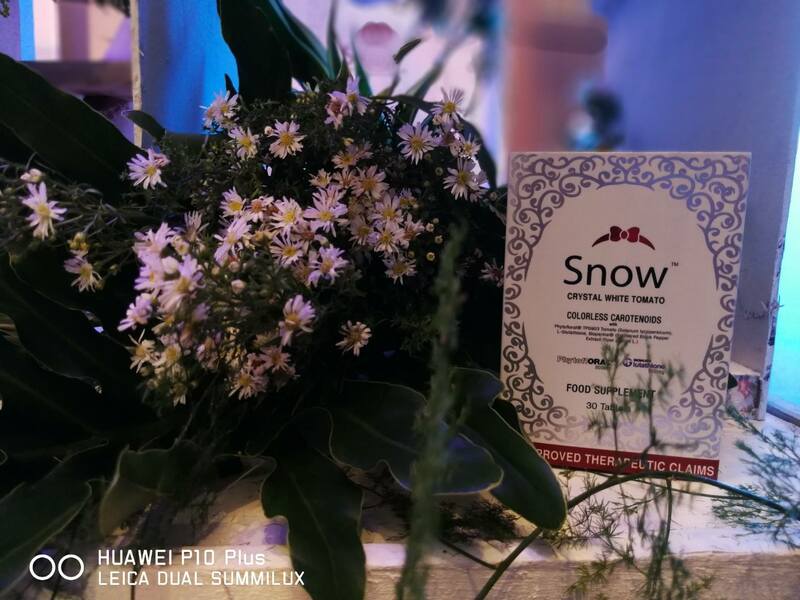 Snow Crystal White Tomato from Vida Nutriscience, is the first supplement in the Philippines that offers the unique combination of Phytofloral derived from Crystal White Tomato and the popular and proven Kohjin Glutathione. Phytofloral is new to the Philippine Market, and Vida Nutriscience is the first company to offer it in a widely available oral supplement. It is a very effective, clinically tested whitening and anti-aging compound. Phytofloral offers protection against darkening and even damage caused by exposure to UV rays of the sun. It is also very effective for evening skin tone. The Crystal White Tomato from which the Colorless Carotenoids that make up Phytofloral are derived is a non-GMO. The combination of Phytofloral with Kohjin Glutathione is topped off with Bioperine, an ingredient that increases the efficacy of the Phytofloral and Kohjin Glutathione combination by 30%. “Marian’s looks tend to distract us from the fact that she is an extraordinary, multi-faceted woman. She worked as a psychologist; she is a versatile actress in different genres like drama, action, and comedy; she has also hosted a dance show, a gag show, and a talk show. Now she is a hands-on mother and an ambassador for The Smile Train. She is fearless, she always has the confidence to reinvent herself and her career, that is why she stays relevant, that is why she is the queen”, says Erick Armigos, President and CEO of Vida Nutriscience. “At this stage in her career, Marian is a perfect fit for Vida at this point as our company continues to grow and introduce innovations to health and beauty,” concludes Armigos. “At Vida Nutriscience, we take pride in the fact that we are always fresh and always relevant”, says Armigos. 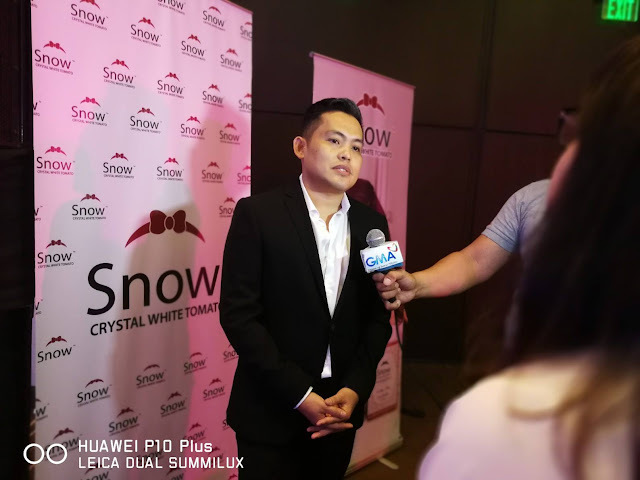 “We were among the first in the country to offer whitening supplements with 500mg of glutathione with our very popular SnowCaps brand. We were also the first, and so far the only company to come up with a Yerba Mate-based supplement and drink in mySlim.” He continues. “Just as Marian Rivera has reinvented herself countless times to earn the title of queen, we at Vida feel we are also adapting through innovation in order to stay ahead, we are proud and happy to welcome queen Marian to the Vida family,” says Armigos. Snow Crystal White Tomato is available in Mercury Drugstore, Watson’s, and other leading drugstores nationwide. For more information on Snow Crystal White Tomato, visit www.vidanutriscience.com or www.facebook.com/snowskinwhite.